In their publication in Nature Astronomy, astronomers have described the source of the radioactive molecule as a nova — a transient astronomical phenomenon in which a star becomes thousands of times brighter before gradually fading to its original intensity — in the Vulpecula constellation, nearly 200 million light-years from Earth. Astronomers could view the star from Earth since its first formal reference in 1687. But it was only a few years ago in 2013, that they made the link between Vulpecula’s stellar event and the radioactive isotopic gas molecule they discovered. With their interest reignited, the international research team led by Tomasz Kamiński from the Harvard-Smithsonian Center for Astrophysics, learned that the source of the radioisotope was likely a red nova, a bright explosion caused when two stars merge into one, and blast out a large amount of gas in a massive (and often red) explosion. The significance of their findings as described in their paper is partly that the molecular gas they discovered is a radioisotope of aluminum, 26Al, and the first discovery of a radioactive molecule in space. More importantly, it is also the first time that this particular radioisotope, called 26AlF, has been directly traced to an object in space previously unconsidered as a source of the radioactive isotope. The team of scientists hopes to study the molecular traces better, gain an understand of how the merger happened, and broaden current understanding of the many layers of a star, according to their official press statement. In the same breath, the statement adds that while the study has contributed new findings about the ancient nova, it also raising some new questions. The researchers think that the merger alone could not have produced all of the gaseous isotope detected, the total amount in the galaxy, and corresponding origin of which, continues to be shrouded in mystery. 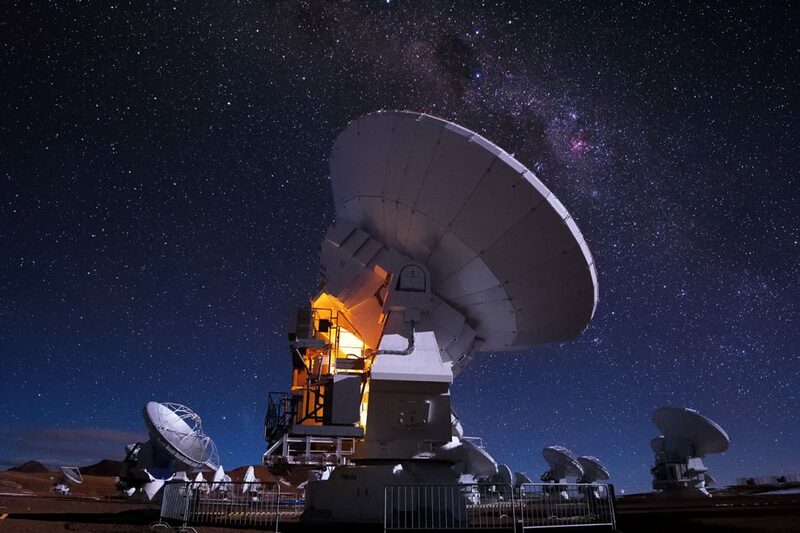 To top-off their findings, they propose that the use of tools like the Atacama Large Millimeter/submillimeter Array (ALMA) — a group of radio telescope antennas in Chile (which studies star births and planet formations) — could be more useful in looking for 26Al producers than gamma-ray observatories, which detect gamma rays streams from black holes and exploding stars. Backed up by more studies, their claim could mean many new findings from investigations of stellar remnants as well as the radioactive isotope, 26AlF, in our galaxy.